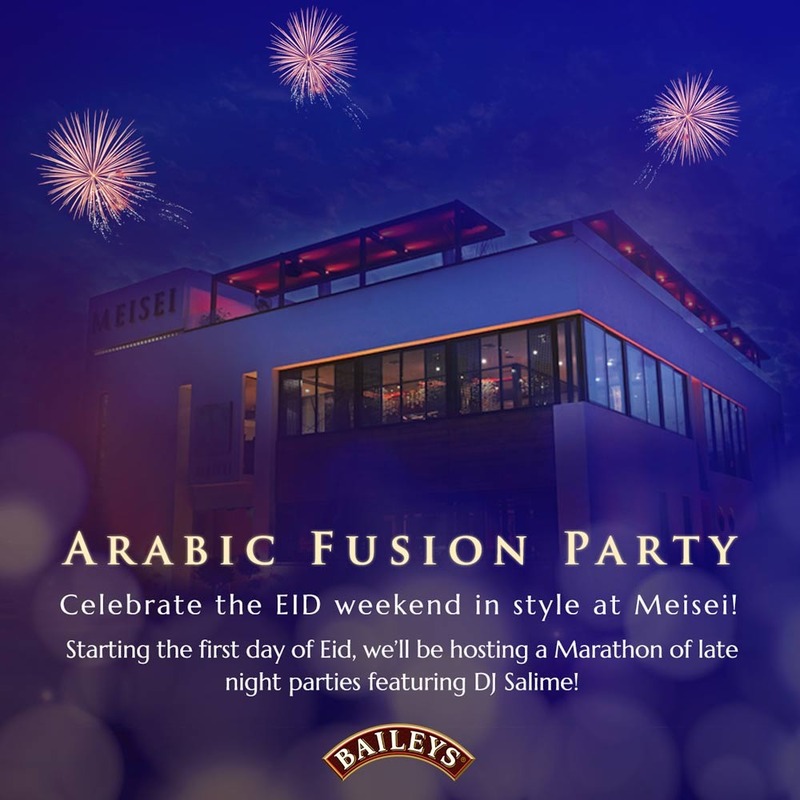 Celebrate the Eid al-Adha holiday in style at Meisei! Treat yourself to an unparalleled dining experience followed by a special Arabic fusion party on the first floor hosted by everyones favourite resident DJ Salime. Dinner reservations from 7pm & party vibes from 10pm! 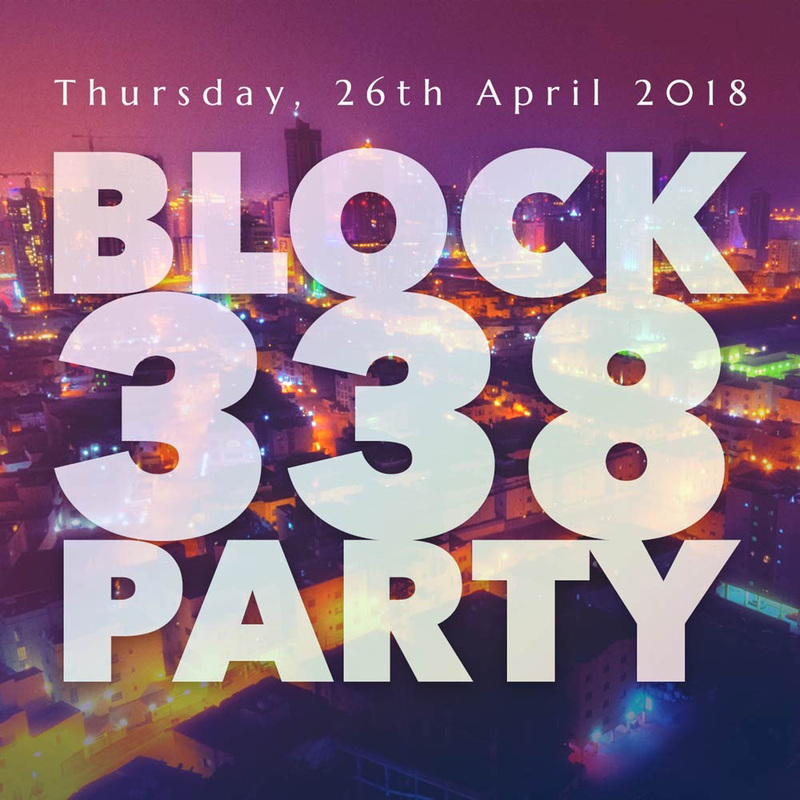 Join us on the most iconic rooftop in Bahrain Thursday 26th April for an epic pre-summer late night party with DJ Salime! Dress to impress & don't forget your dancing shoes! 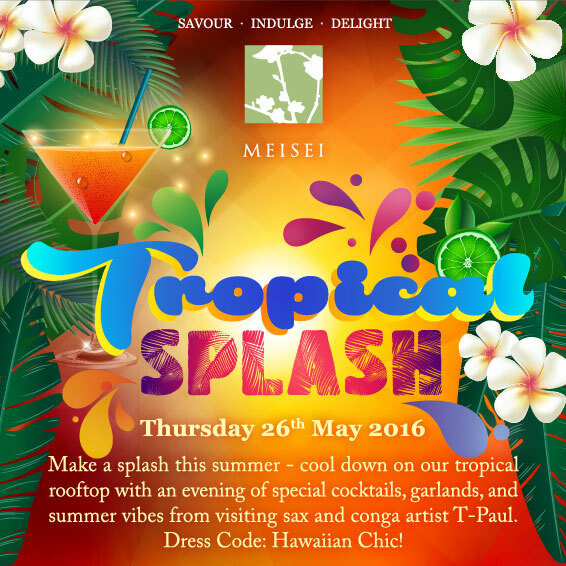 Head to Meisei on Thursday 3rd May for Tropical Splash rooftop party! 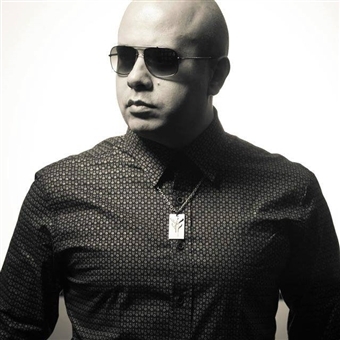 Back by popular demand, DJ Jackson will be performing alongside DJ Salime to keep you dancing into the early hours. Dress code; Hawaiian shirts, garlands and smart board shorts! 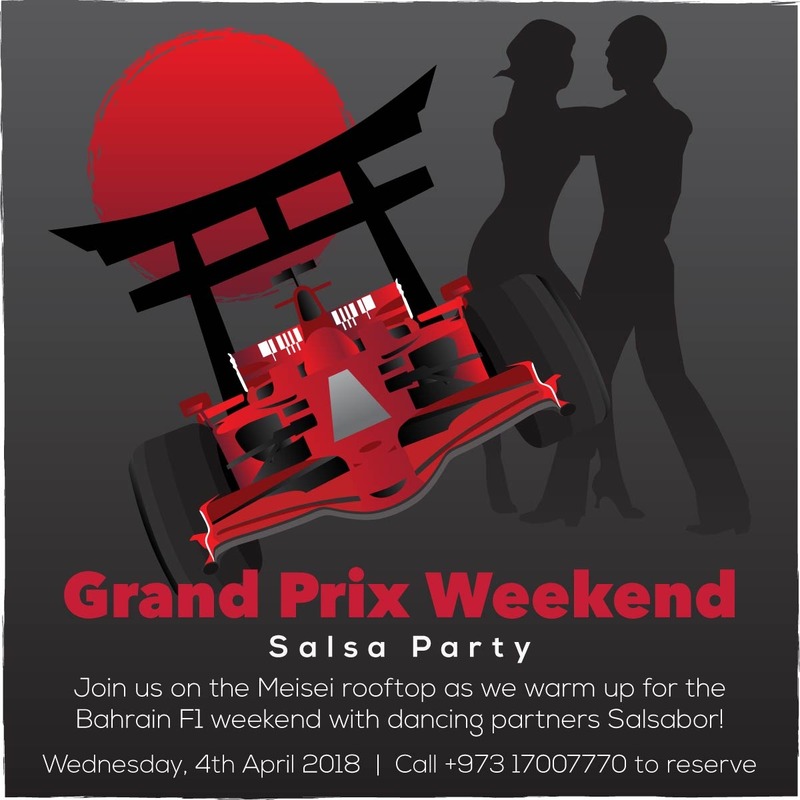 We're kicking off the Bahrain F1 weekend with a special Salsa party on Wednesday 4th April, with smooth latin beats & two glasses of complimentary sparking for ladies until midnight! Start your engines! 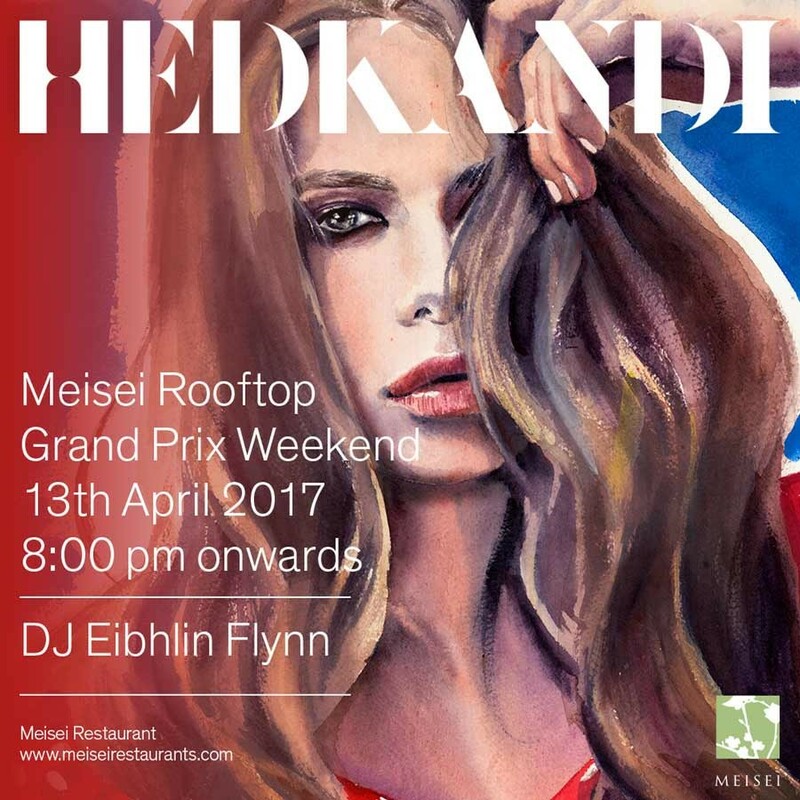 Special guest DJ Jackson will be rocking the Meisei rooftop on Thursday 5th April for an unforgettable co-main F1 event! 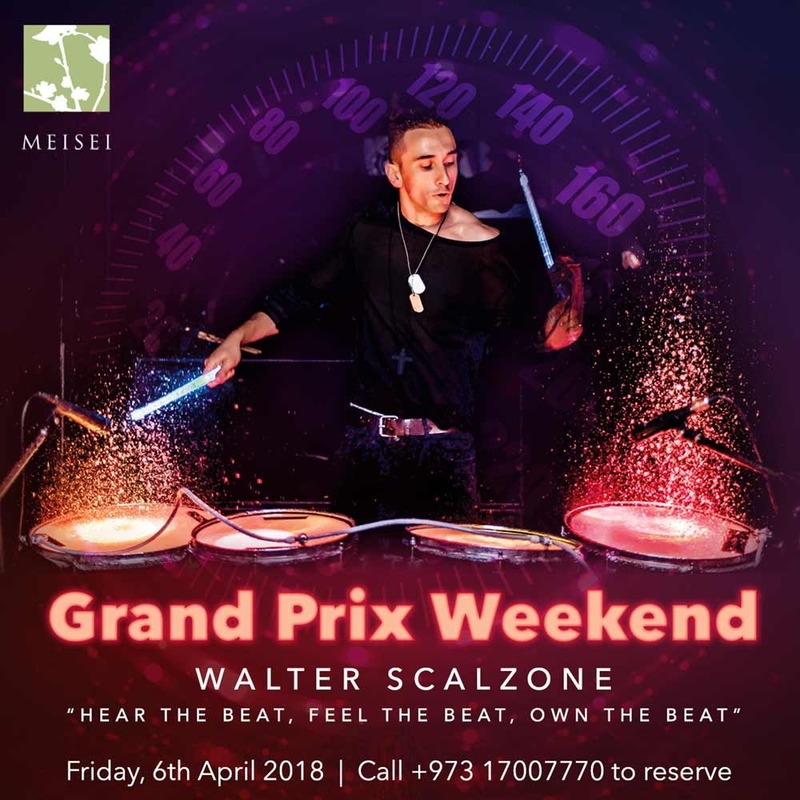 The Meisei main F1 event will be held on Friday 6th April & feature Internationally renowned multi-percussionist Walter Scalzone. Hailing from Italy, Walter Scalzone has over 10 years of experience working in clubs in Italy, Spain, UK, USA China, UAE and more. He performs on both acoustic and electronic percussion instruments, with over 600 sounds from all over the world allowing him the flexibility to switch between different styles of music, like house, samba, salsa, arabic, lounge, hip hop, rnb, on whim. Giving equal amounts of importance not only to sound but also delivery, Walter’s playing is energetic and only helps to enhance the visual effect of his performance. Join us for an unforgettable Grand Prix Weekend! 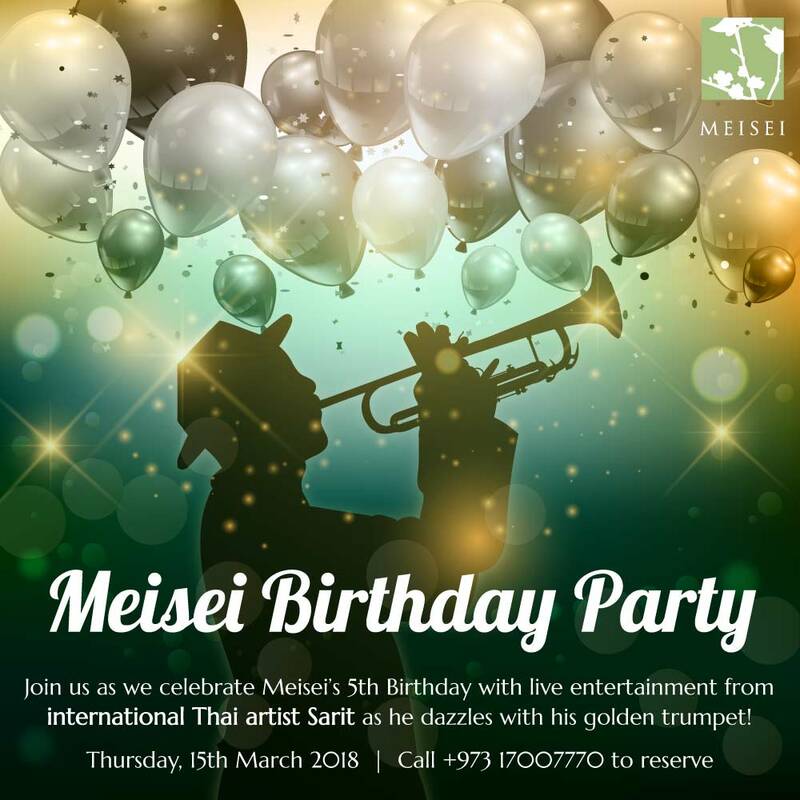 The Meisei Spectacular 5th Birthday Party! Meisei is turning 5! 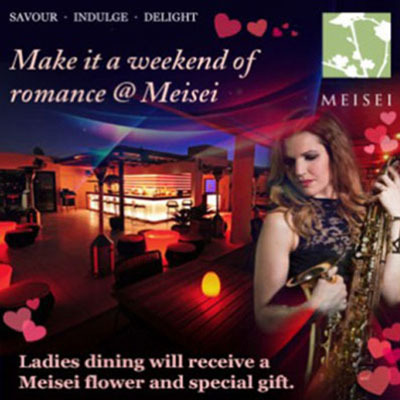 Join us for a long weekend of celebrations starting on Wednesday 14th March with a special Salsabor ladies night. We’ll keep the party going on Thursday 15th with a spectacular main event Birthday bash, AND, a celebratory masterpiece; a giant Birthday cake to mark the occasion! The party doesn't stop there; the finale party will be held on Friday 16th. Guests can enjoy world class food and live entertainment from visiting artist Sarit on his golden trumpet all 3 nights! 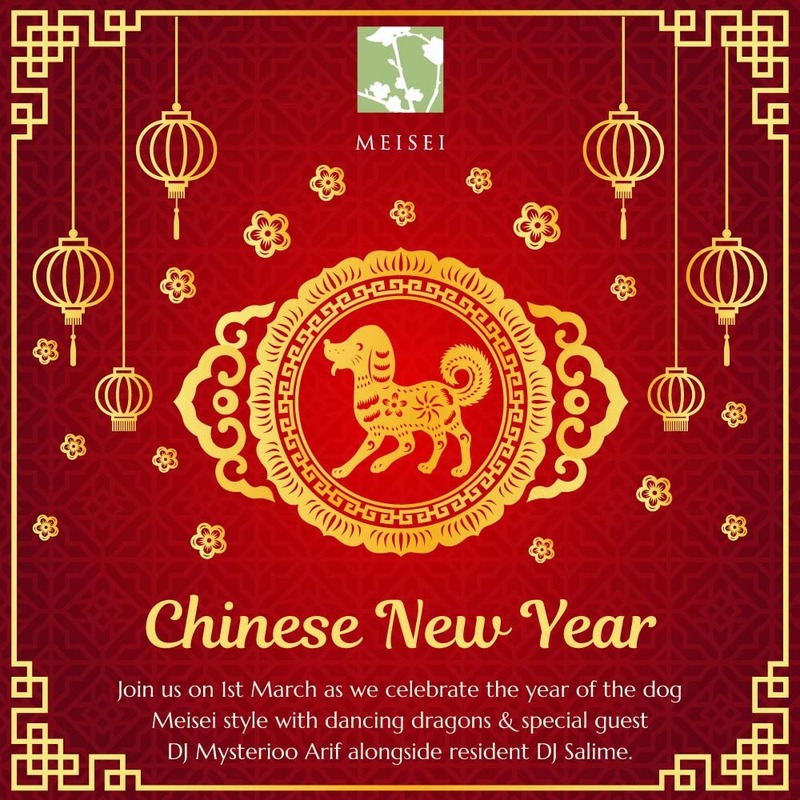 Chinese New Year celebrations continue at Meisei with a special rooftop party on Thursday 1st March dedicated to 'The Year of the Dog'. Join as we celebrate this auspicious Spring Festival with dancing dragons & special guest DJ Mysterioo Arif alongside DJ Salime. 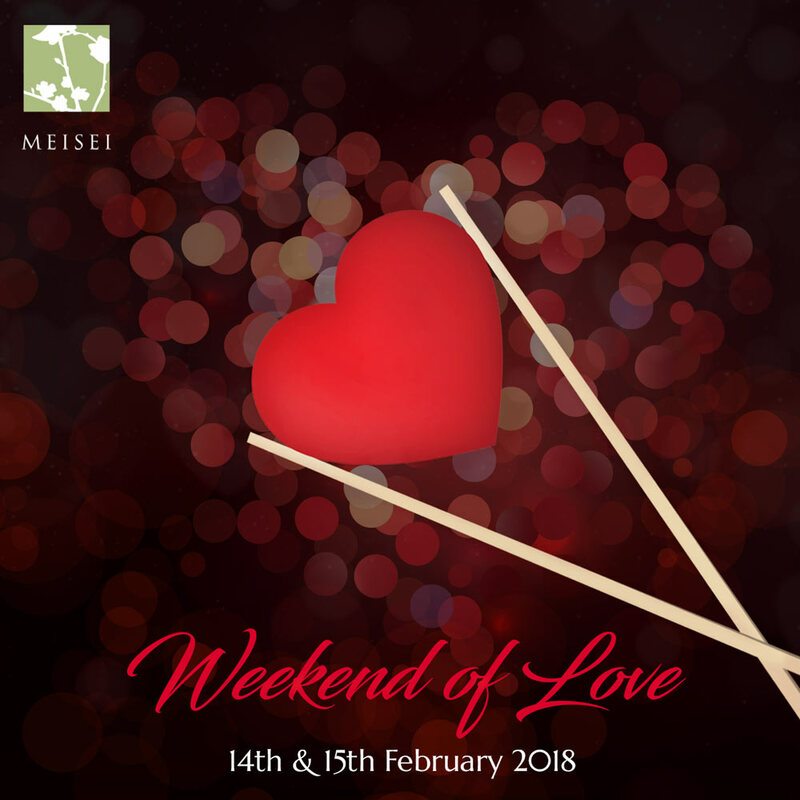 What better way to celebrate Valentines weekend than with an intimate dinner followed by a moonlit dance? Our al a carte menu will be available throughout the weekend with a special rooftop party for guests to enjoy. *All guests dining that spend BD40 per couple will receive a complimentary glass of selected house wine. Join us at the most romantic venue on the island to create special memories that will last a lifetime. 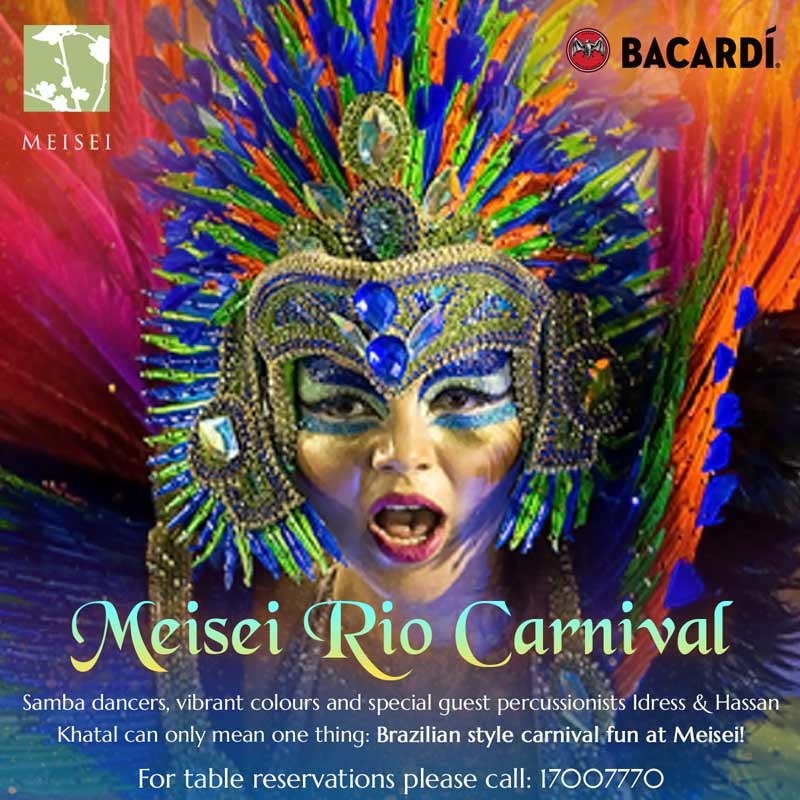 Samba dancers, vibrant colours and special guest percussion artists Idress & Hassan Khatal can only mean one thing: Brazilian style carnival fun at Meisei! Embody the spirit of Rio Carnival with 3 nights of celebrations! We're kicking off the festivities with a special Salsabor party on Wednesday 7th February, followed by carnival inspired late night parties on Thursday 8th & Friday 9th where guests can enjoy exclusive cocktails with the NEW Bacardi flavours! Dress code: bright colours, sequins, feathers and outlandish accessories! 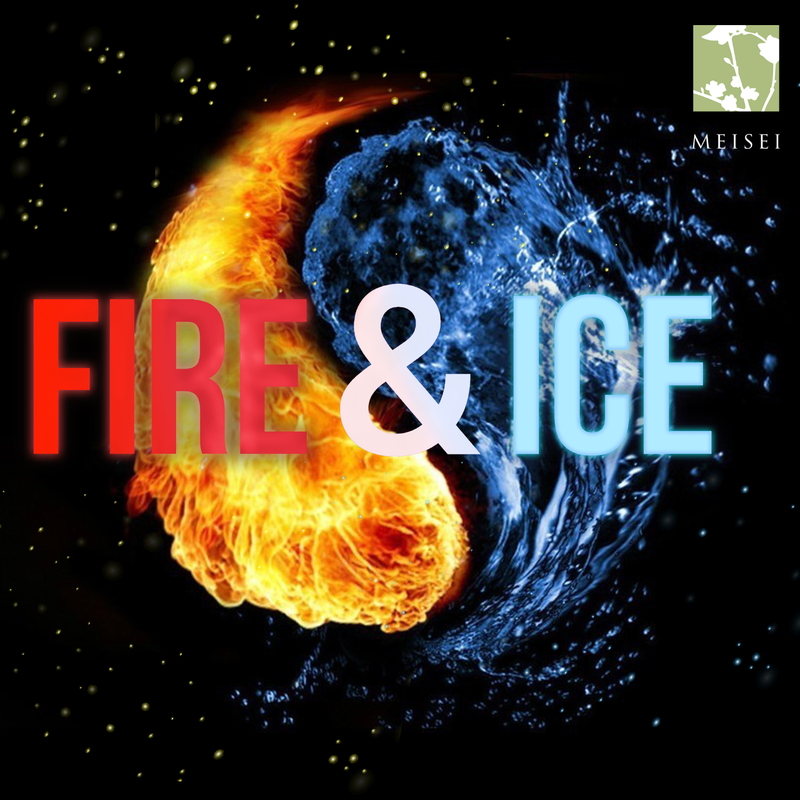 We’re kicking off the New Year with an epic Meisei event; Fire & Ice! Enjoy an evening of opposites on Thursday the 25th January; flaming drinks served at our ice bar and frozen cocktails! 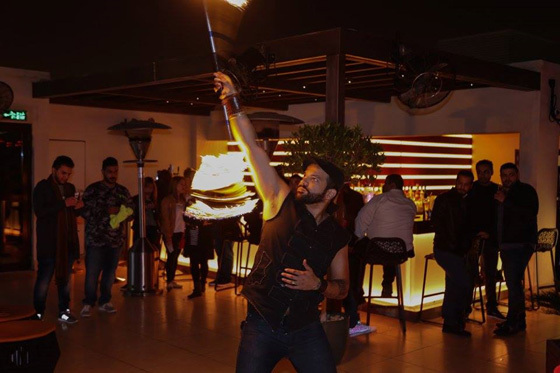 We'll have live performances from a fire twirler and DJ Vanilla flying in from Dubai alongside DJ Salime! Dine on a feast of fusion delights and enjoy the party. 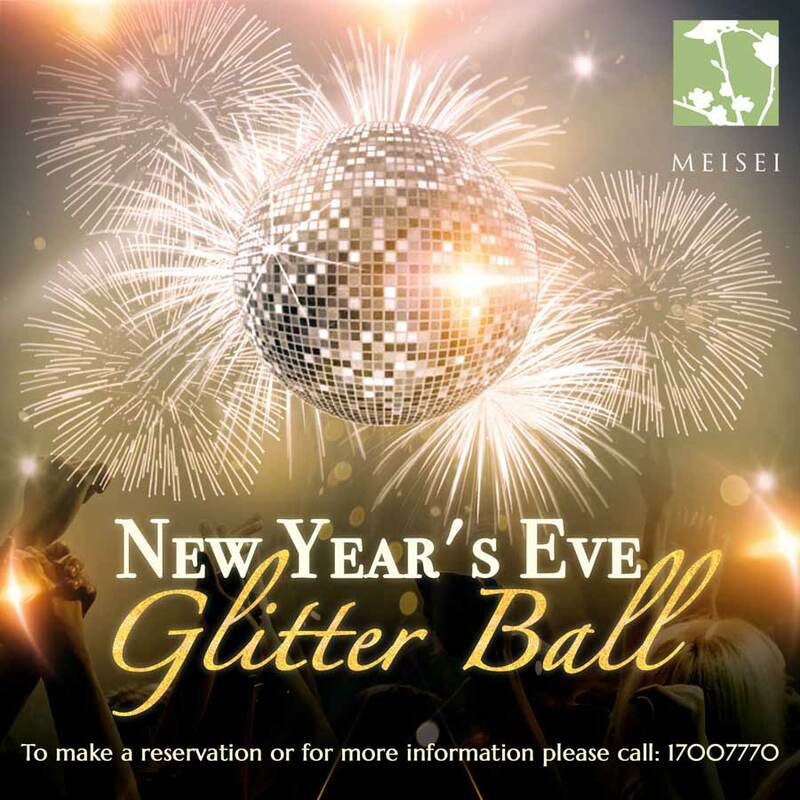 Celebrate New Year's Eve in style at Meisei; Bahrain's most elegant party venue. Enjoy a sumptuous dinner followed by an exclusive rooftop glitter ball party with live entertainment from UK trio; Chez Taylor on sax, Sam Lubin on percussion and DJ Velocity leading from the DJ booth with the latest dance tunes. Dress to impress in all that glitters! Gents, BD20 entry fee for New Years Eve party. 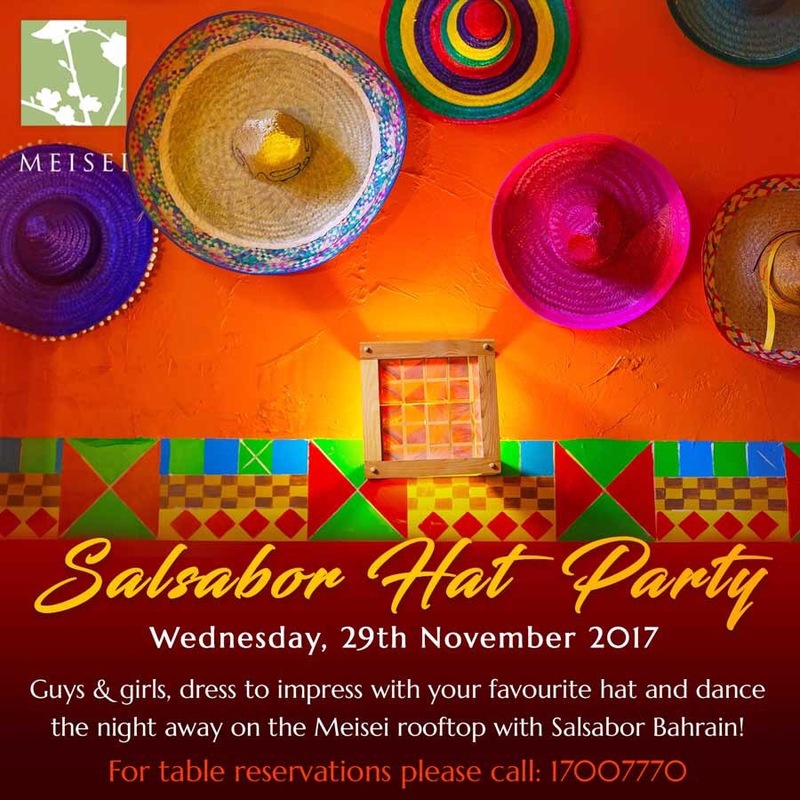 Guys & girls, dress to impress with your favourite hat and dance the night away on the Meisei rooftop with Salsabor Bahrain! Meisei will be hosting the most elegant ladies salsa night in Bahrain with a twist on the 29th November - the hat party! 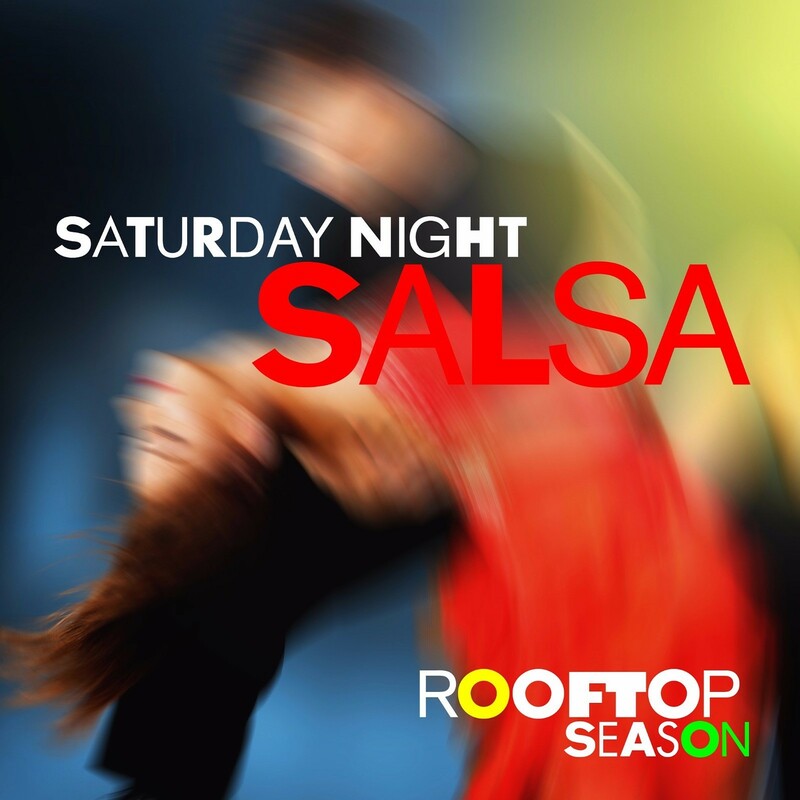 Enjoy cool latin vibes and dance lessons from Salsabor Bahrain. Ladies, don’t forget to collect 3 complimentary sparkling wine tokens up until 10.30pm and then use them before midnight! See you on the rooftop! Please note: BD7 entry fee for gentlemen which includes 2 selected beverages. For tables in the dining area of the rooftop there is a BD20 minimum spend per person. 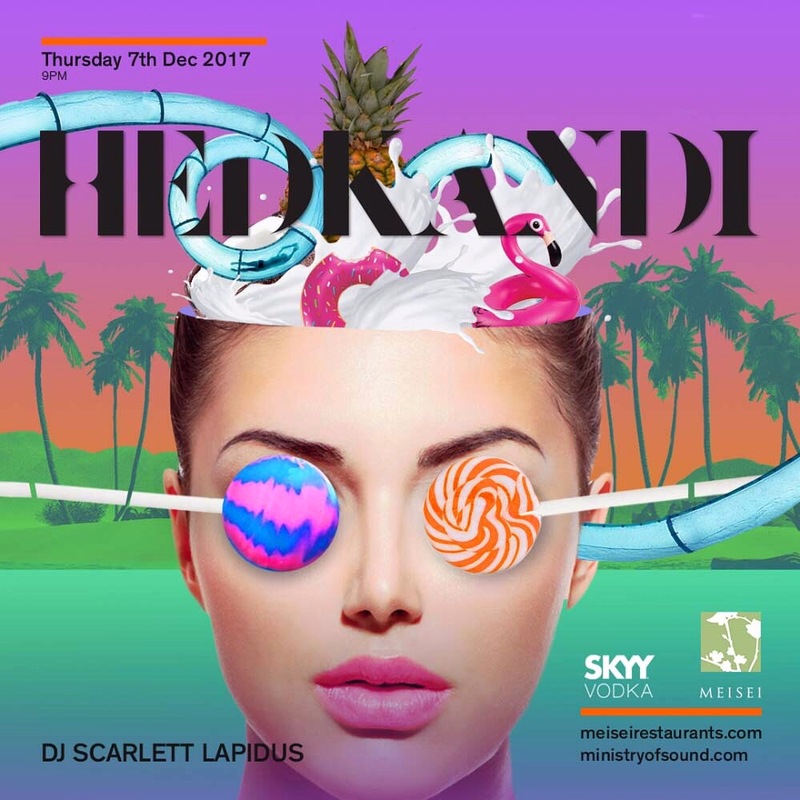 Hed Kandi is back for another unforgettable night of beautiful music, fusion food and outstanding drinks with SKYY at the one and only Meisei. Featuring the talented DJ, music curator & singer Miss Scarlett Lapidus. Scarlett has been a permanent fixture in the London and European party scene for the last couple of years. She is currently a resident DJ at exclusive hangouts The Chiltern Firehouse, Park Chinois and The Arts Club on Dover Street. She's also the on-stage DJ for pop-star Charli XCX and has played at world-famous venues including The Grande Palais in Paris and Ushuaïa Ibiza Beach Club. Scarlett’s DJ music style is heavily influenced by all things disco, combining 90’s/80s remixes, R n’B, old time classic soul and funk right through to Chicago House. With original mixes and vocals on request, she curates every set and sound to bring an event to life. 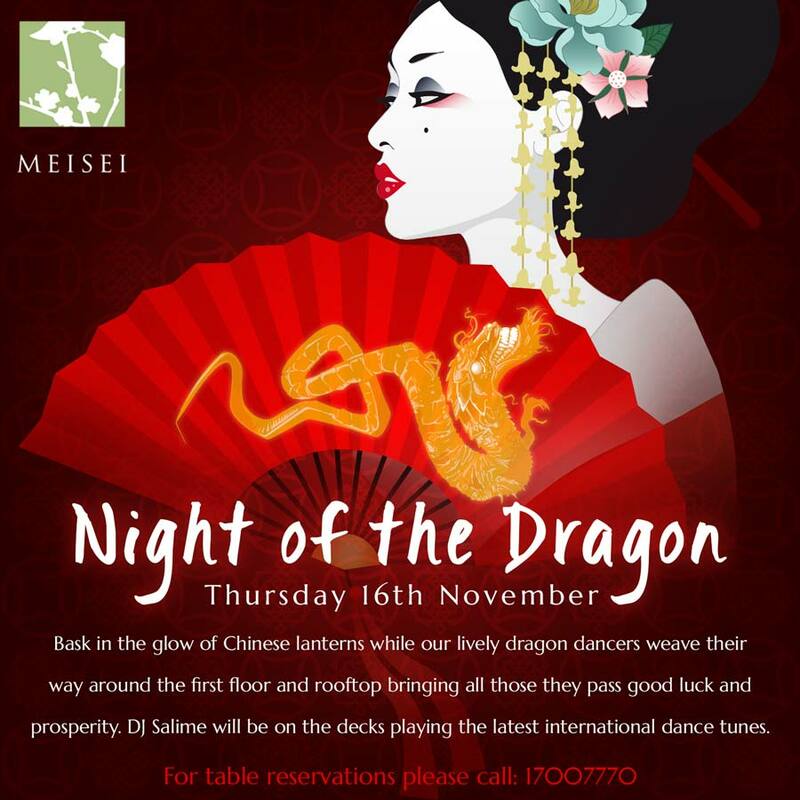 Join us on Thursday 16th November as we celebrate the ancient tradition of dancing dragons. Bask in the glow of Chinese lanterns while our lively dragon dancers weave their way around the first floor and rooftop bringing all those they pass good luck and prosperity. DJ Salime will be on the decks playing the latest international dance tunes. Dining as usual from 7pm, entertainment starts from 9pm. Halloween has never been more spooktactular! Enjoy 4 nights of festive fun starting on Tuesday 31st October; All Hallows’ Eve with DJ Detour! 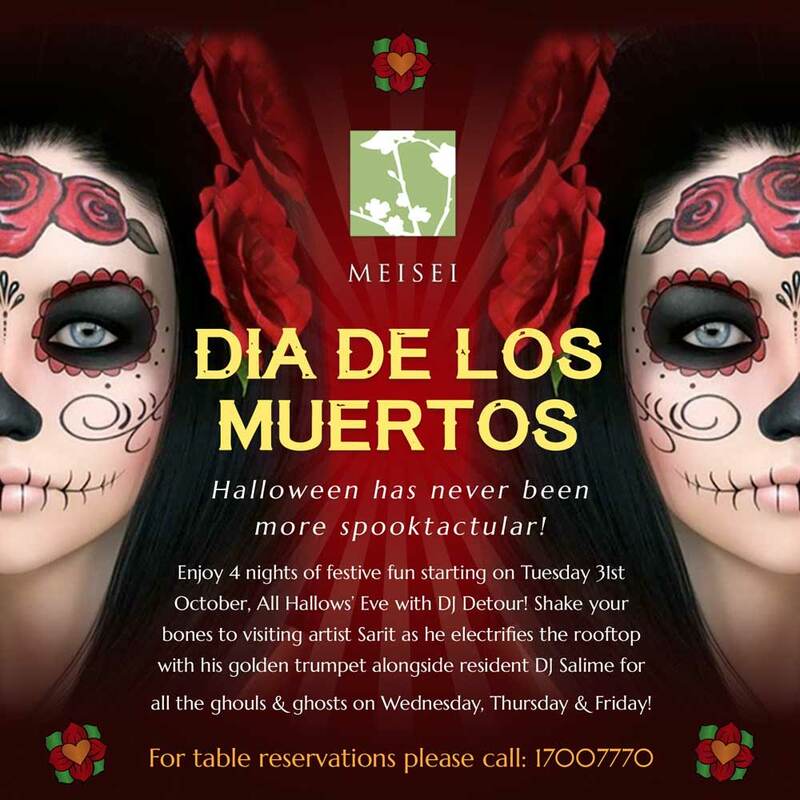 Shake your bones to visiting artist Sarit as he electrifies the rooftop with his golden trumpet for all the ghosts & ghouls for a special scary salsa on Wednesday 1st November. 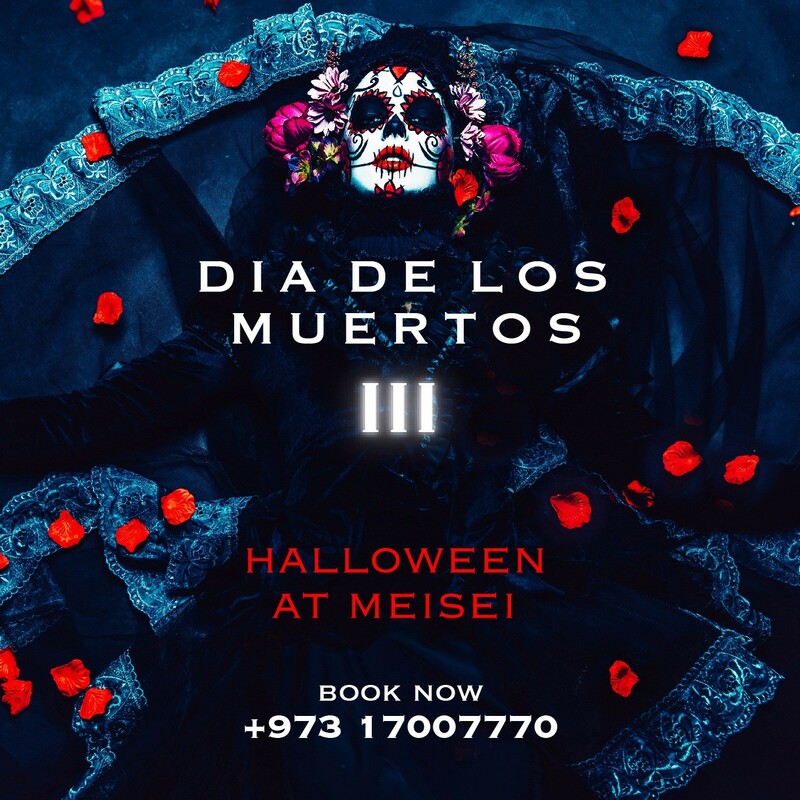 Our 'Dia De Los Muertos' finale parties will be on Thursday 2nd & Friday 3rd November featuring DJ Salime along with live entertainment from Sarit! 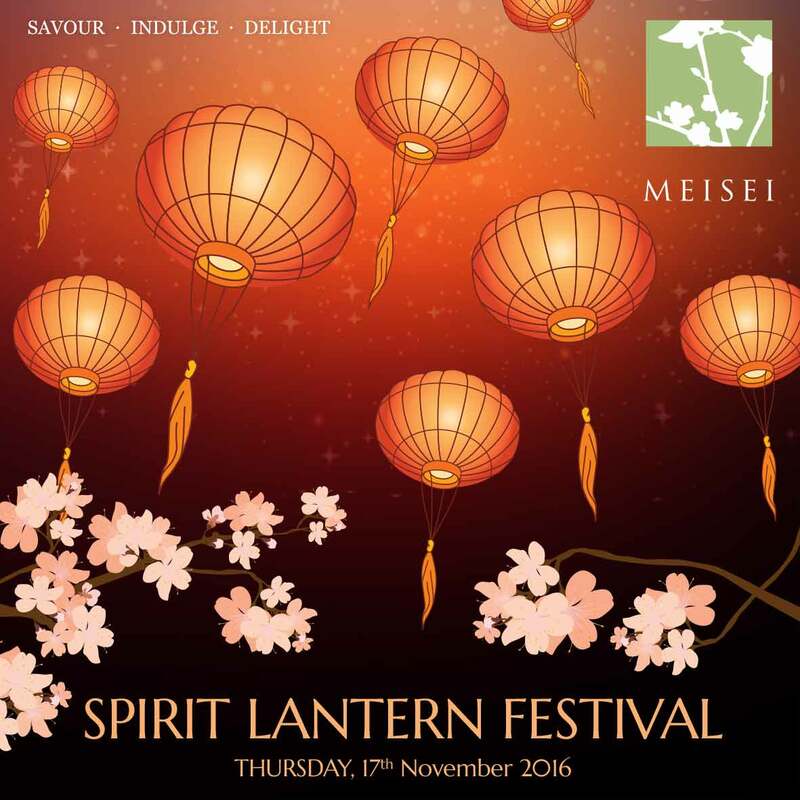 Dress to impress as the best outfits get the chance to win a meal for two at Meisei! 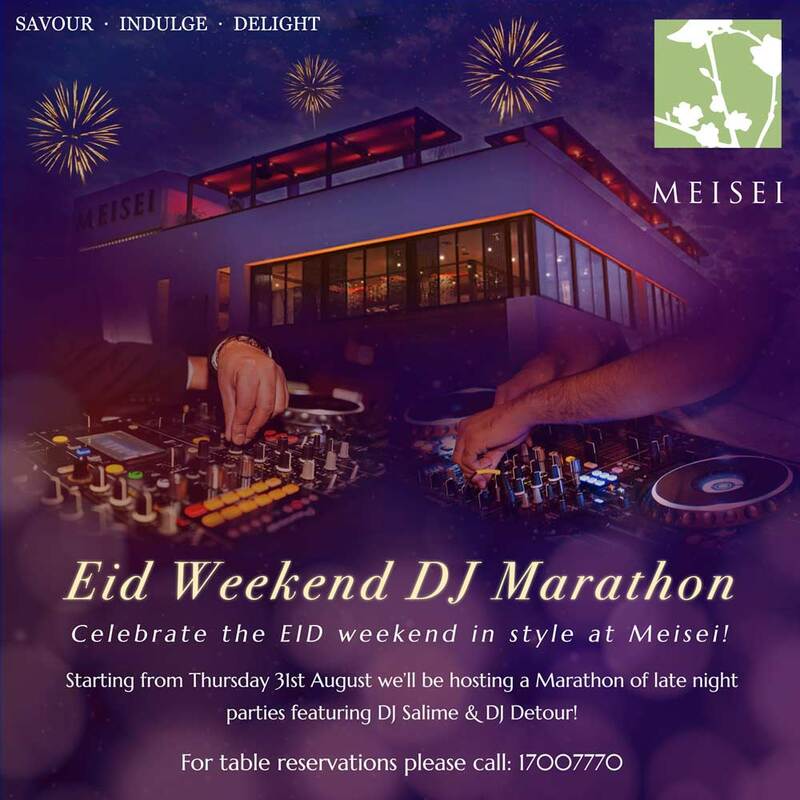 Celebrate the Eid Al-Adha holiday at Meisei with an epic Eid Weekend 'DJ Marathon' kicking off on Thursday 31st August. The late night parties will continue throughout the weekend; Friday 1st, Saturday 2nd, Sunday 3rd & Monday 4th September! The DJ Marathon will feature our resident DJ Salime & guest DJ Detour playing the latest dance & R&B music until 2am every night. We have an amazing line-up of events coming up, starting the very fist day of EID! DJ Salime will get the party started as we begin the EID festivities, followed by DJ Detour's 'For The Love Of R&B And HIP HOP Tuesday 27th. 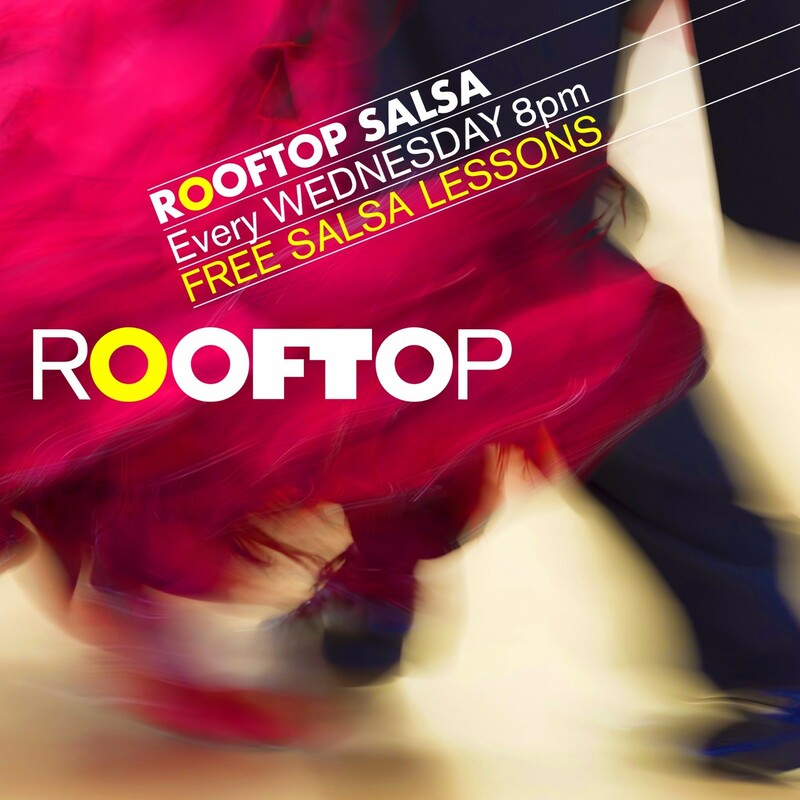 Our dancing partners Salsabor will be welcoming back their loyal Salsa crew on Wednesday 28th. As a grand finale to an action packed EID week, Meisei will once again play host to internationally renowned DJ Khaled Hussein with musicians Ghazal & Bakkar on Thursday 29th. 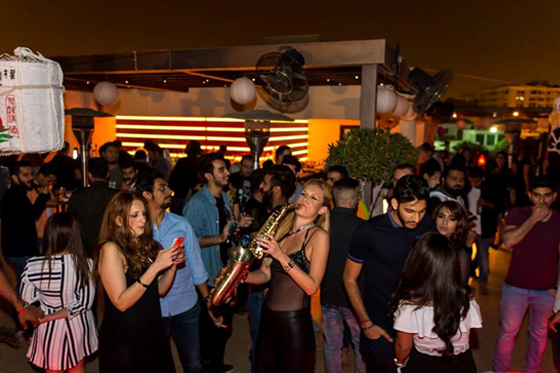 The musical trio rocked the rooftop for the Bahrain F1 weekend and guests have been asking for us to invite them back ever since! Don't miss this opportunity to watch them perform together again! Ramadan Kareem Bahrain! 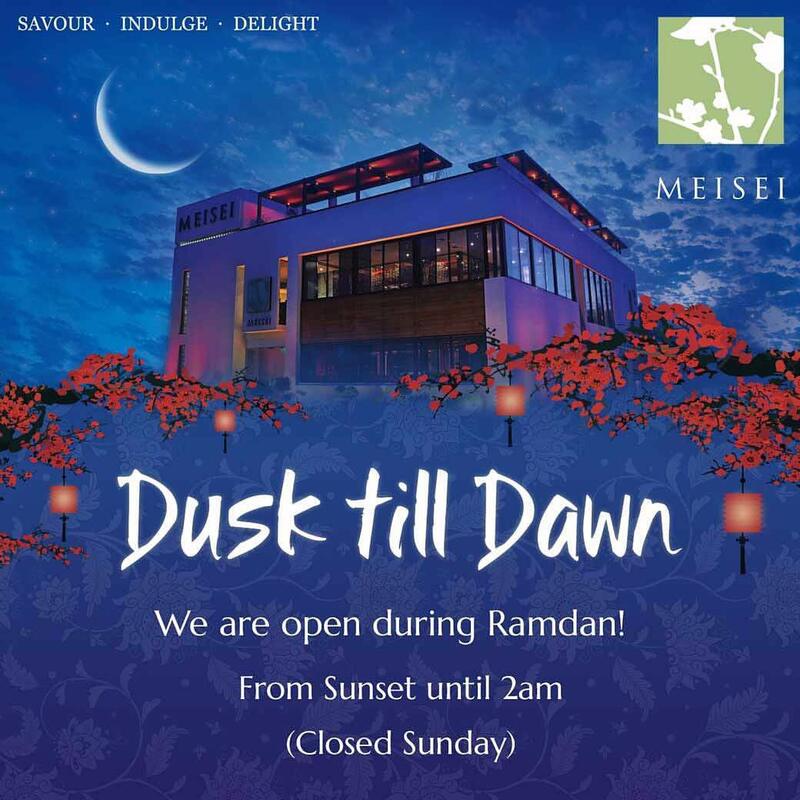 We are excited to announce that Meisei Restaurant will remain open throughout Ramadan! A reduced version of our al a carte menu will be available alongside a special Ramadan set menu including; Dim Sum, Japanese Pizza & Maki. We will also be featuring special #Japanese infused pastries & Ramadan desserts only available during the holy month. Adding to the festivities we will be hosting Abdulla Faisal 'Boffais', playing live acoustic Arabic guitar music Thursday & Friday from 10pm. 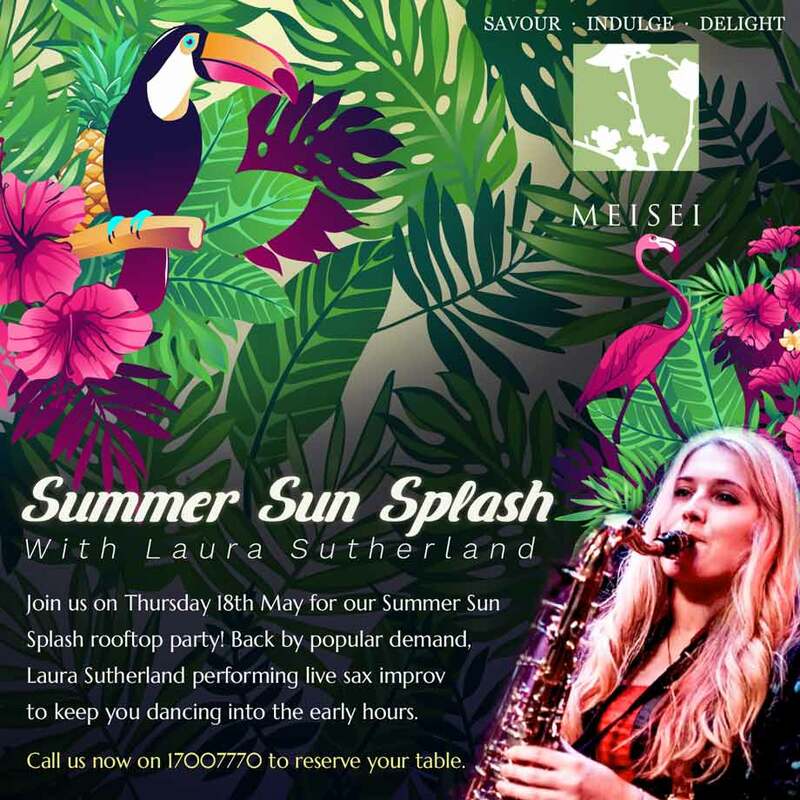 Head to Meisei on Thursday 18th May for a Summer Sun Splash rooftop party! Back by popular demand, saxophonist Laura Sutherland will be performing live sax improv alongside DJ Salime to keep you dancing into the early hours. 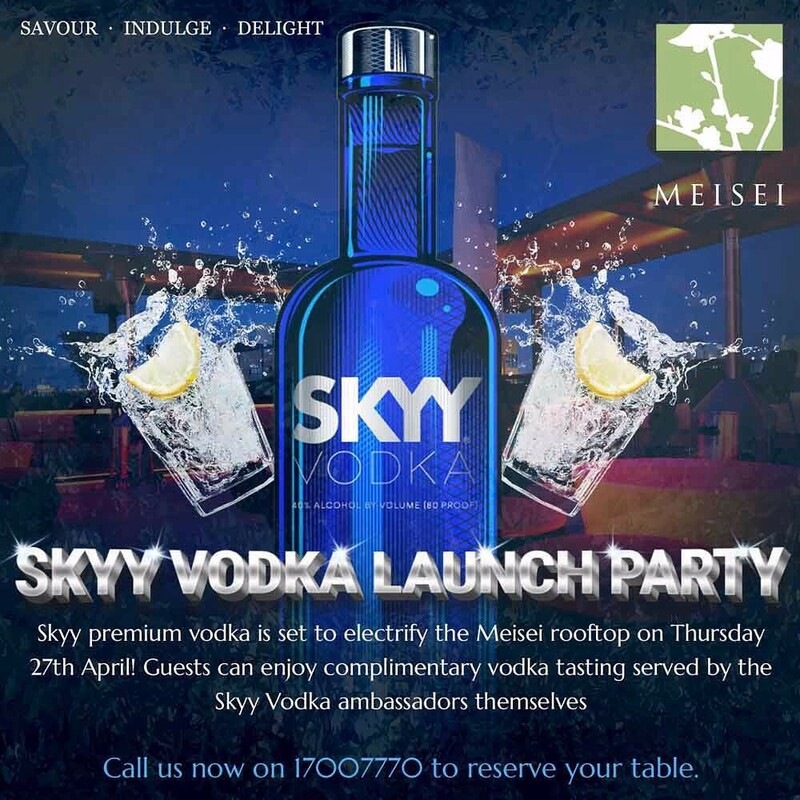 Skyy premium vodka is set to electrify the Meisei rooftop on Thursday 27th April! Guests can enjoy complimentary vodka tasting served by the Skyy ambassadors themselves from 9-10pm while DJ Salime keeps you rocking until the early hours. Enjoy award winning food with outstanding entertainment all set in the islands most exclusive venue. Call us now on 17007770 to reserve your table. Please note that there will be no entry fee for this event. 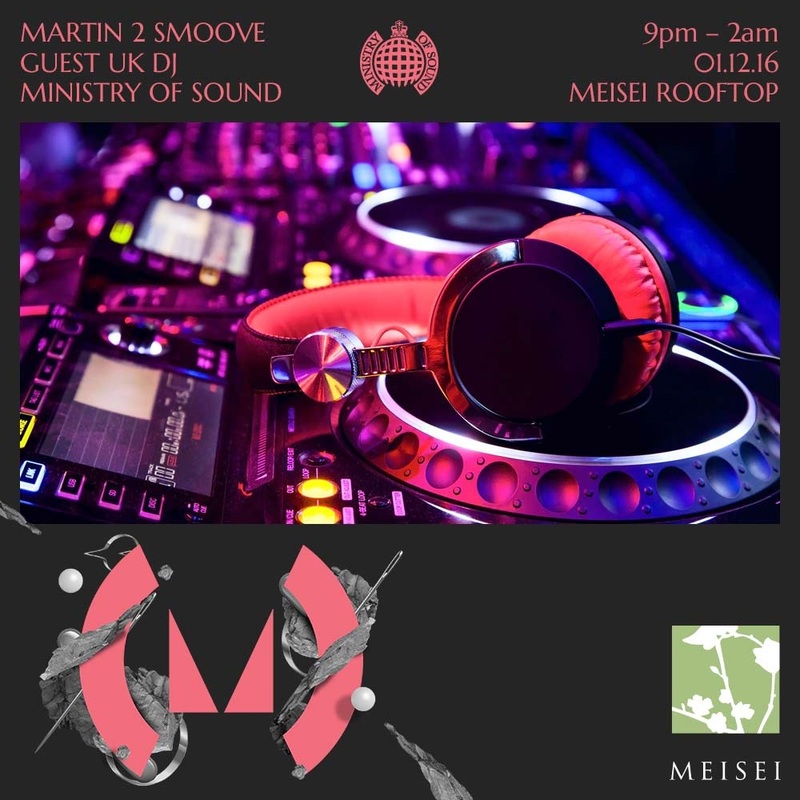 This F1 weekend is set to be unforgettable as Meisei brings you not one, but two nights of live international entertainment! 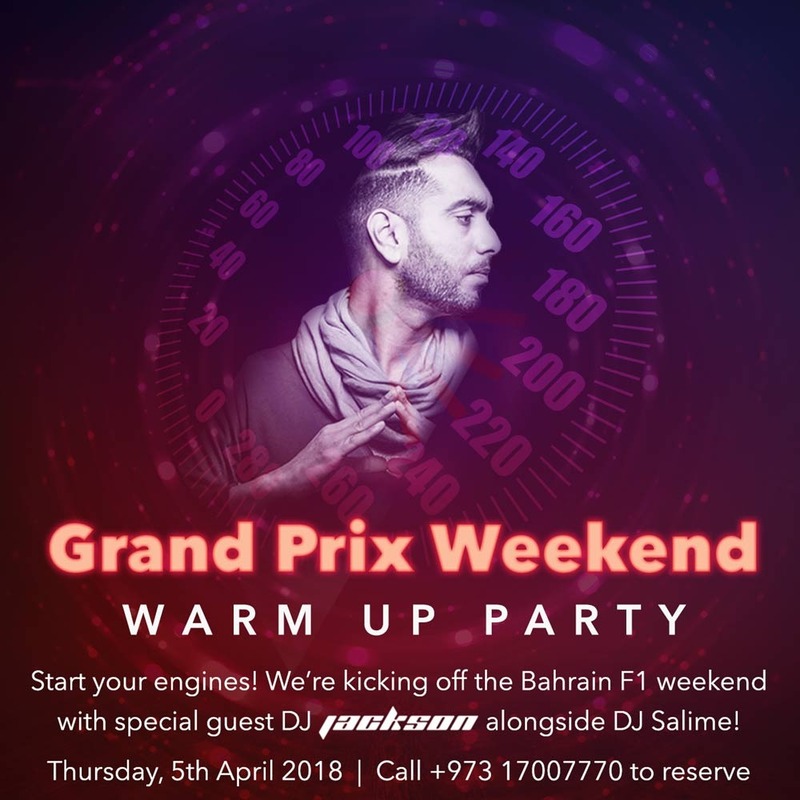 UK-based super-brand HED KANDI is coming to Bahrain for one night only on Thursday 13th April, for a glam night to start the Grand Prix weekend in style on the panoramic rooftop. Official HED KANDI artists never disappoint, and travel all around the world playing in arenas, clubs and beach fronts with the mainstream HED KANDI vibe that made the brand famous in its home town of London. Featured musician at Meisei is Irish DJ Ebhlín (pronounced Evelyn) - influenced by sounds from days spent sneaking into her mother’s nightclub, her obsession for dance music grew rapidly, eventually moving to London to pursue her passion full time. In between touring, Eibhlin has worked on her own productions, her first track ‘Mo Fuaime’ topping the Beatport deep house chart. For the event a BD15 entrance charge applies to gentleman only. 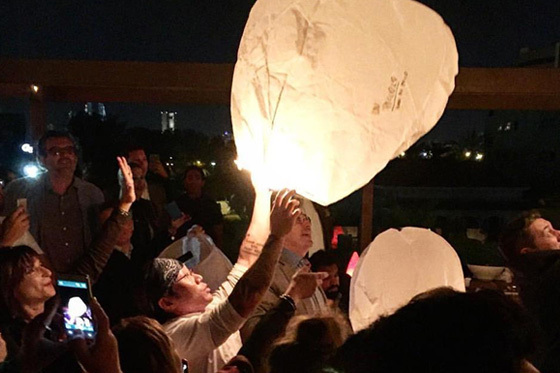 Diners with table reservations no entrance charge for rooftop event. Khaled Hussein became famous on the global Dj scene with his mega hit You & I, with Yassin Ft the vocalist Hala, and the big-room anthem ‘Lose control’ on the world-renowned label Pacha recordings. Khaled has rocked numerous dance floors around the world such in London, Russia, Dubai, Egypt and more, and also has a monthly radio show Khaled Element 8” which airs on ETN.FM. Khaled has played alongside some of the world’s finest DJ talent such as John Digweed, Hernan Cattaneo, Judge Jules, Steve Lawler, Sander Kleinenberg, Satoshi Tommie, Sonique, Chus & Ceballos to name a few, and plays alongside his partner in crime Yassin, who is also a popular House DJ/Producer in the Middle East. Both DJ’s have brought spectacular releases on various labels. Khaled has been voted as one of the top 300 Dj's in the world in DJMAG, and also voted Egypt’s number one DJ by Virgin mega stores for two years running. Entrance charge of BD10 for this event applies to gentlemen only. Diners with table reservations no entrance fee for rooftop event. 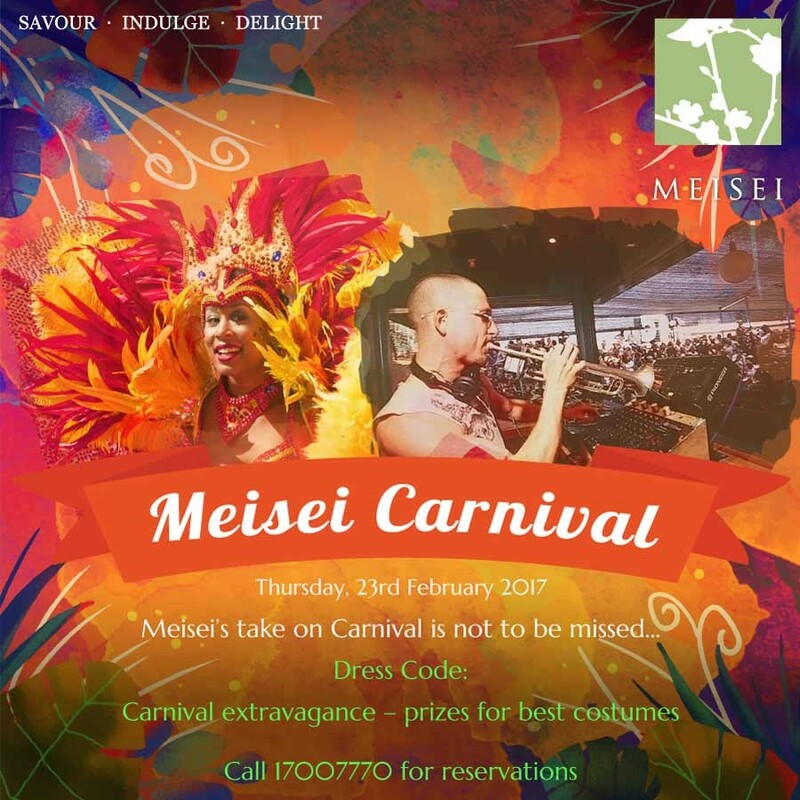 Join us on Thursday 23rd February for the Meisei Carnival! Shimmy along with our Samba group while you move to the sounds of funky trumpet man Gordon Edge, visiting for one night only from the UK. The weather forecast is fine and Euphoria, excess and exuberance are on the cards for this over-the-top fiesta! Dress code: carnival extravagance! *Fantastic prizes for the best costumes, to be announced at midnight! For more information or to reserve a table call us on: 17007770. No entry charge and dining as usual across all three floors. 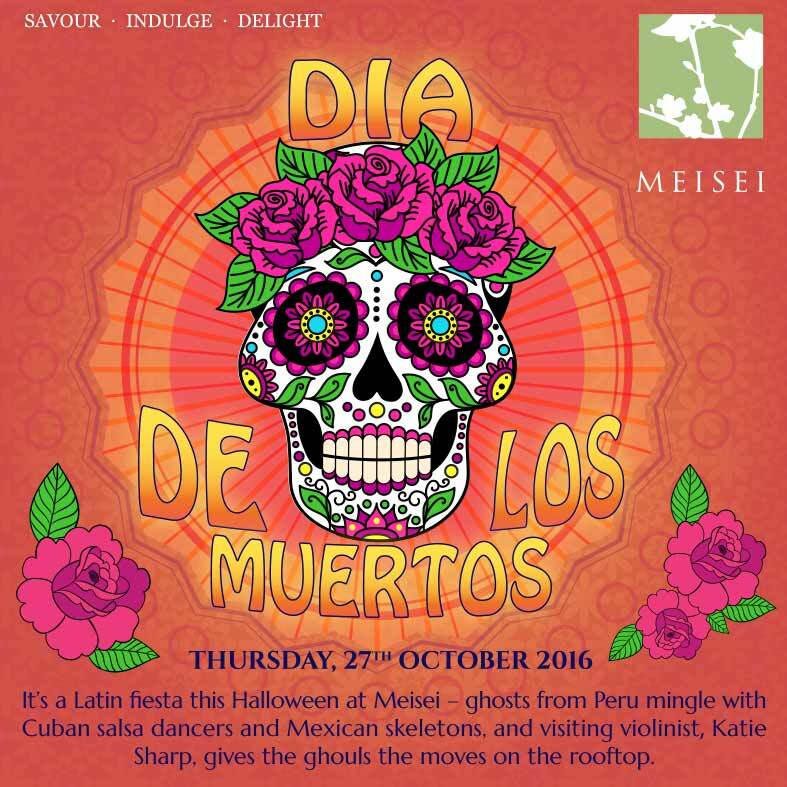 This South American festival honouring the dead was never more ghoulish than this year at Meisei, when ghosts from Peru will mingle with Cuban salsa dancers and Mexican skeletons! 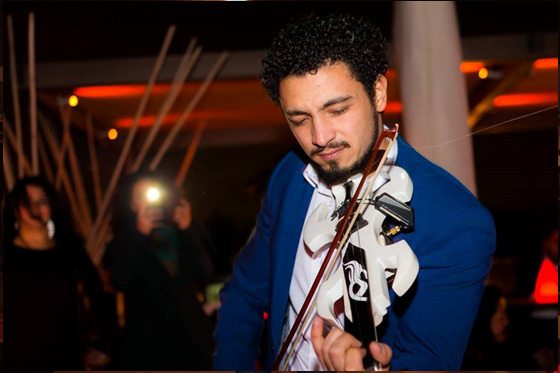 Our new Latin band will bring diners to life (no pun intended), with visiting violinist Katie Sharp and DJ Salime giving all the ghouls the moves on the rooftop with their electric energy. Entrance is absolutely free! Diners are given priority seating. 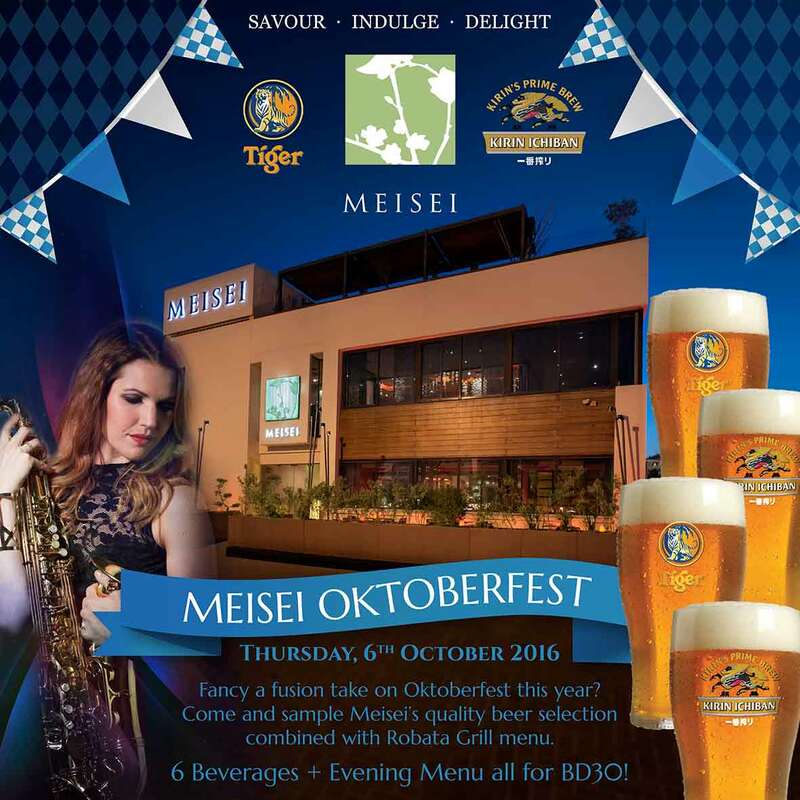 Fancy a fusion take on Oktoberfest this year? 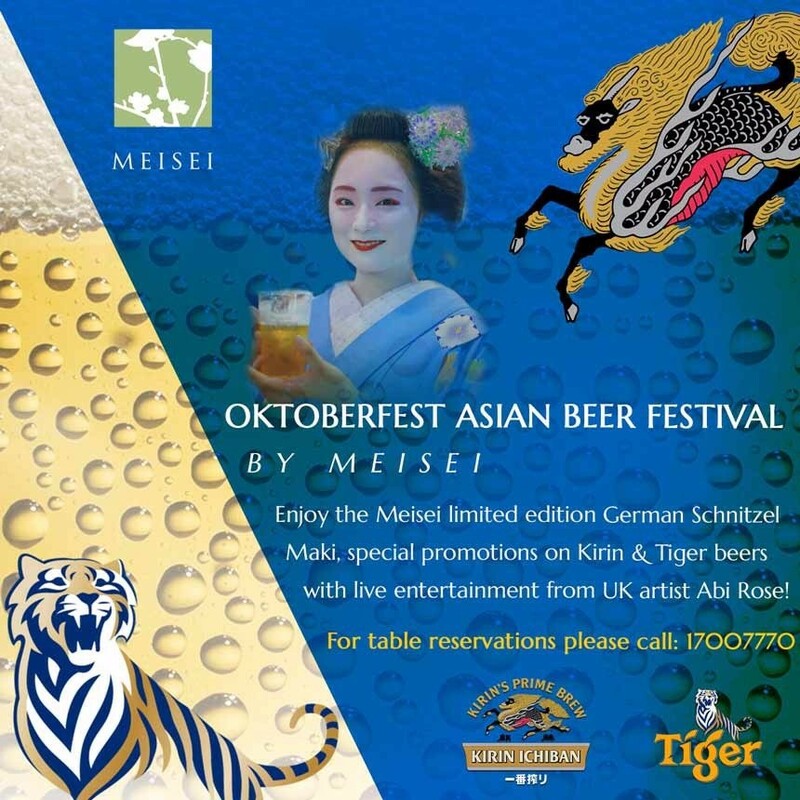 Come and sample Meisei’s quality beer selection combined with Robata Grill menu; 6 beverages + evening Menu all for BD30! We'll also have live entertainment from the UK’s Chez Taylor serenading guests with her chilled sax sounds alongside DJ Salime. Chuseok (Korean Thanksgiving) is also called the harvest moon festival, and is a three-day holiday in Korea. 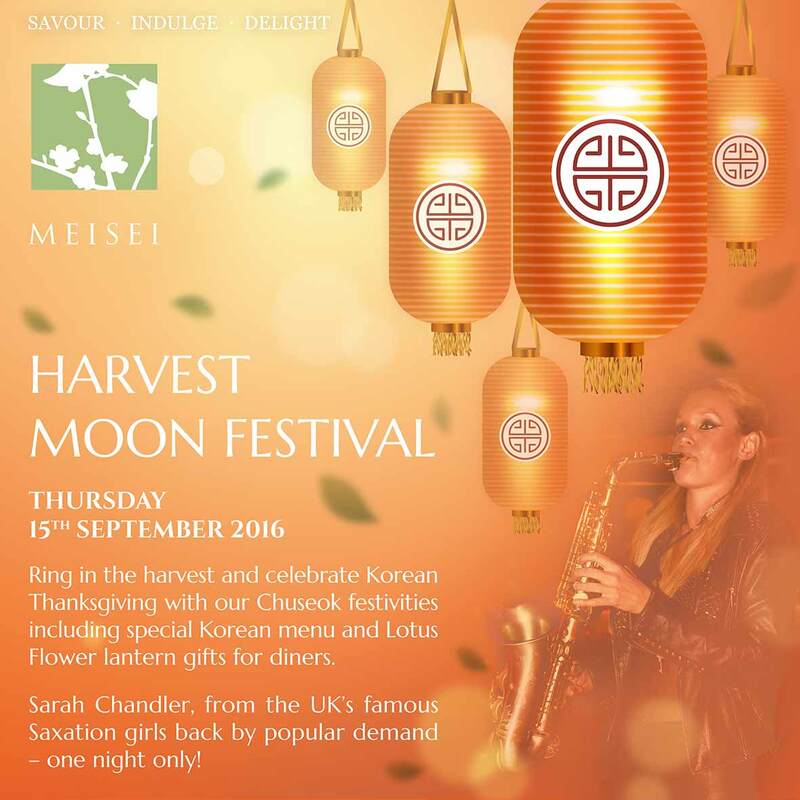 Join us to celebrate at Meisei on Thursday 15th September with a special Korean-inspired tasting menu for two from Chef Michael Lee, and party with the UK’s Sarah Chandler giving us the best of her improv vibes with DJ Salime on the decks. 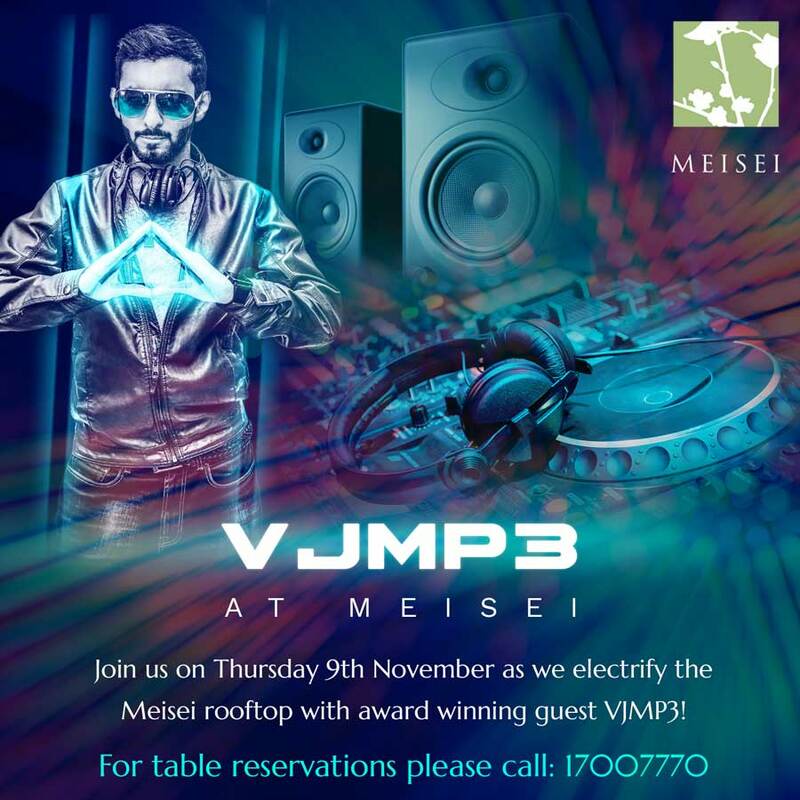 End your Eid in style at Meisei! Bahrain is heating up! Time to head to the beach, the Meisei rooftop beach that is! 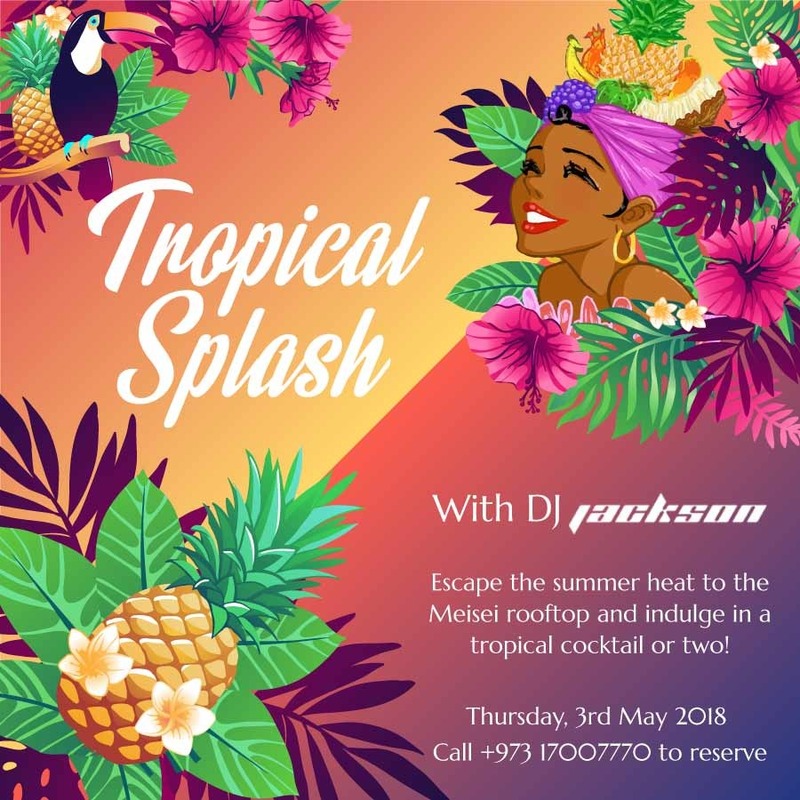 Join us on Thursday 26th May for our Tropical Splash rooftop party! Back by popular demand, T-Paul combines his eclectic DJ mixes with live sax and electric conga improv to keep you dancing into the early hours. Dress code; hawaiian shirts, garlands and board shorts! No extra charge and dining as usual from 7pm, free sparkling for ladies until 11pm. Entertainment starts at 9pm. 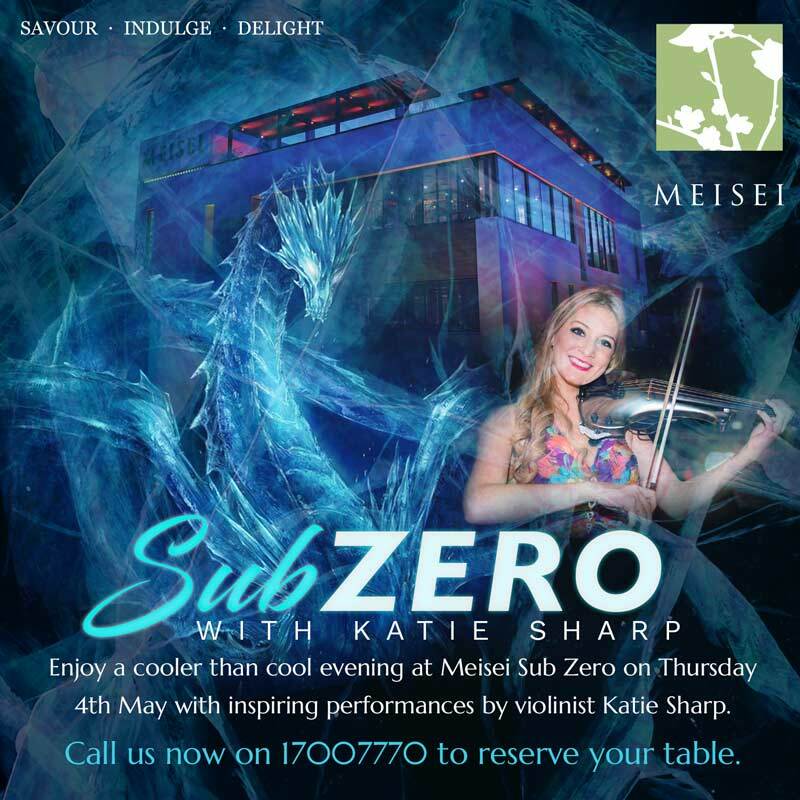 Enjoy a cooler than cool evening at Meisei Sub Zero this Thursday 5th May! 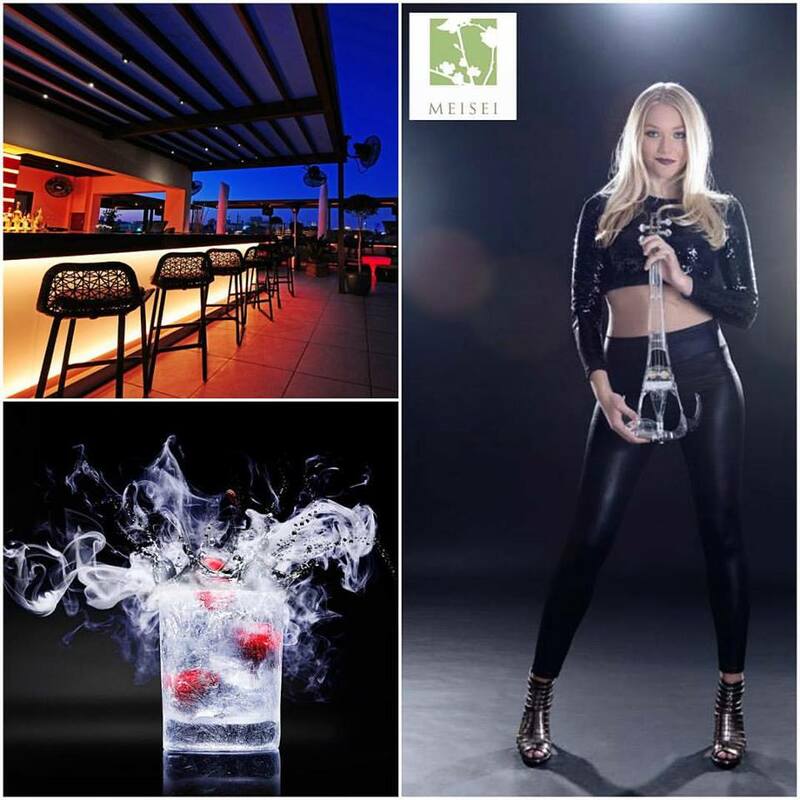 The Bahrain summer is fast approaching but don’t sweat it, we’re fully prepared to keep you cool with our range of iced cocktails & shots served up from our ice bar with spectacular liquid nitrogen desserts! Back by popular demand, the electric Sally Potterton on her neon violin will serenade Meisei guests long into the evening. Dine on a feast of fusion delights with our Japan-meets-Peru ‘Nikkei’ menu and enjoy the party. 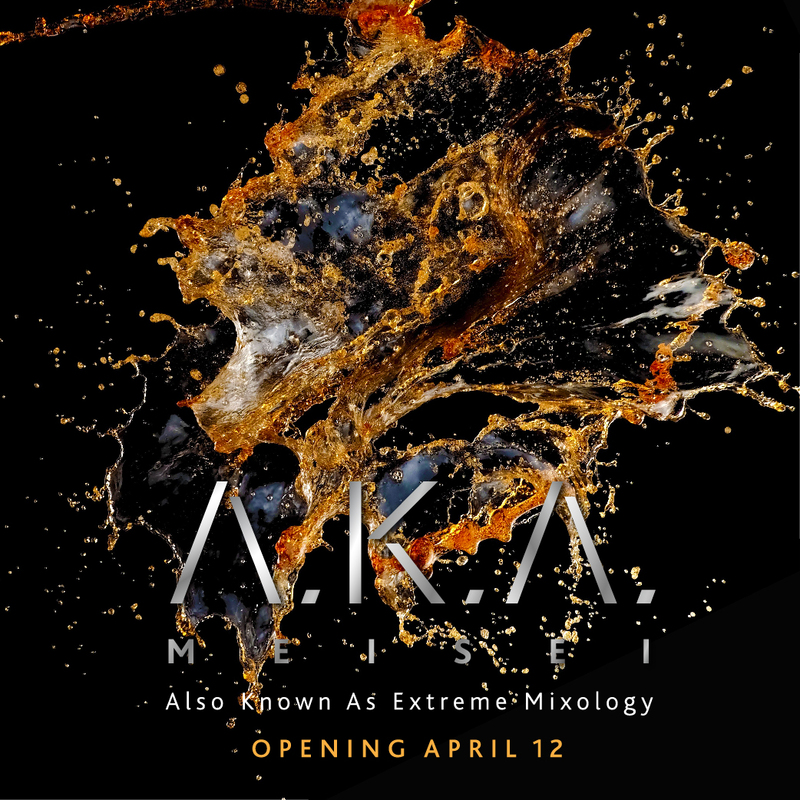 For table reservations please call: 17007770. Happy Birthday Meisei! We turned 3 in style! Flying in from the UK and performing live was fabulous saxophonist Sarah Chandler, creator of the famous Saxation Girls! The Meisei chefs gave guests a celebratory masterpiece; a giant Birthday cake, and we illuminated the night sky with beautiful neon LED Balloons released from our rooftop. 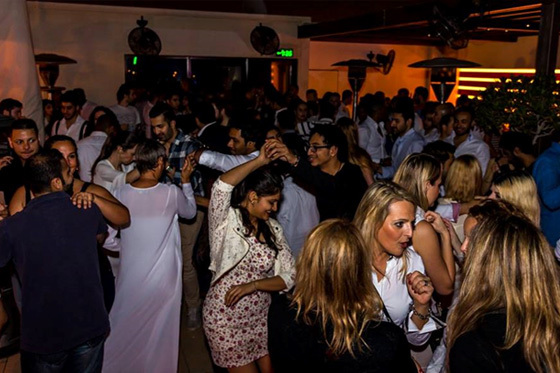 February: Salsa Kings & Queens of Bahrain danced the night away in stunning white outfits to celebrate the one year anniversary of our Miss Meisei Ladies Night. 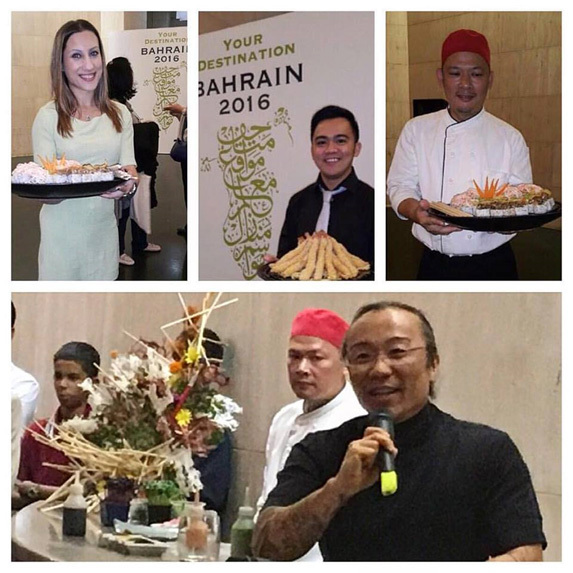 Our fantastic dancing partners #Salsabor Bahrain were on top form showcasing their incredible latin moves on the #Meisei rooftop. Thank you to everyone that joined us last night and that continue to support our regular Salsa Night every Wednesday evening. January: A one of a kind collaboration between Adel Al Abassi and Chef Michael comes to life at #Darseen Cafe.... Adel producing a one of a kind 'canvas' from chopsticks for Chef to decorate with his Japanese Garden. The piece represents the concept of Ikebana, the harmony between humanity and nature. A beautiful blend of food & art, part of the @culturebah #FoodIsCulture showcasing the link between #Food, #Art & #Culture. 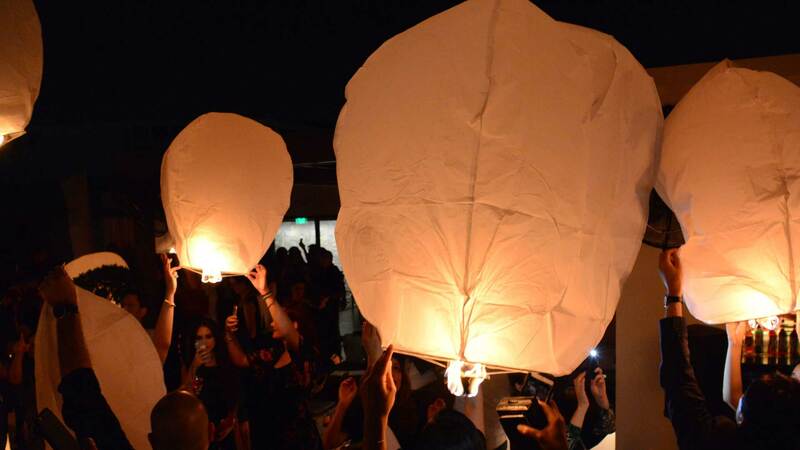 February: Lanterns up at Meisei… for the second year running guests released eco lanterns from our spectacular rooftop to celebrate the Chinese and Korean New Year in style! Emma Frampton joined us from the UK for an evening of improve along with DJ Salime;s mellow vibes. January: ‘Fire & Ice!’ Guests were treated to selection of faming cocktails and liquid nitrogen desserts while live performances from fire entertainer ‘Mellow X’ & saxophonist Peter Churkin kept the party rocking until the early hours.